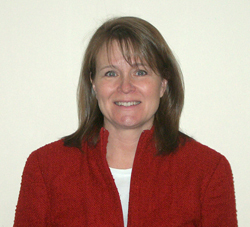 The office of Auditor-Treasurer is managed under the direction of JoDee Treat. It is an elected office with four year election terms that coincide with the terms of the County Attorney and County Sheriff. The major functions that JoDee is charged with overseeing include the accounting functions and creation of financial statements, calculation and collection of property taxes for all jurisdictions in the county, administering elections, coordinating vital statistics and licensing duties, and managing the county's investments. The Beltrami County Auditor-Treasurer’s office is split by function as well as by location. When designing the new County Administration Building, the goal of providing direct customer service in the most accessible areas made it necessary for two Auditor-Treasurer functions, Real Estate & Tax Services and License Center, to be housed on the first floor. The third Auditor-Treasurer function, Financial Services,, is housed on the second floor.